Content warning: Strong language, adult themes including strong violence and sexual references. Use of theatrical haze, smoke and herbal cigarettes. Parental guidance and discretion advised for patrons under the age of 16. Please get in touch with us if you have any queries. 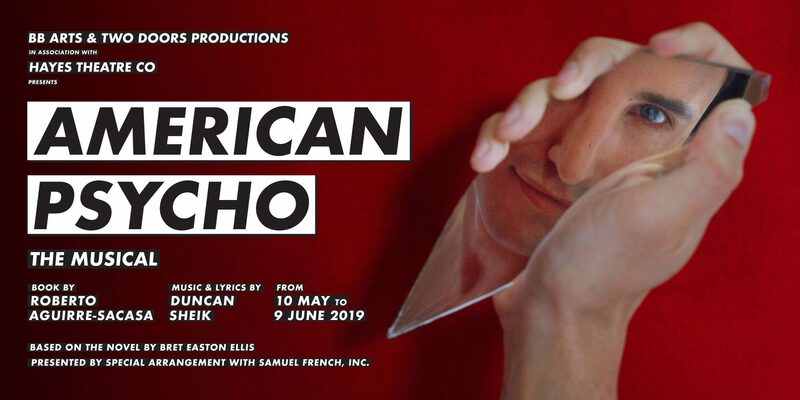 AMERICAN PSYCHO – THE MUSICAL boasts an impressive Australian creative team comprising the 2018 Sydney Theatre Award Winner for Best Director of a Musical, Alexander Berlage (Cry Baby), Musical Director Andrew Worboys (Sweet Charity, Assassins), Choreographer Yvette Lee (Moonshadow), recipient of multiple Sydney Theatre Awards for Best Set Design Isabel Hudson (Cry-Baby), Costume Designer Mason Browne (Cry-Baby), and Sound Designer Nicholas Walker (Assassins, Blood Brothers).